This April’s Akira Kurosawa Online Film Club feature is the 1970 American-Japanese war film Tora! Tora! Tora!, which dramatizes the planning and execution of the Japanese surprise military attack against the United States naval base at Pearl Harbor on the morning of December 7, 1941, drawing the United States into World War II. From a Kurosawa aficionado’s point of view the film is important as it was to be Kurosawa’s first Hollywood film, after his plans to shoot Runaway Train, which we discussed last month, failed to materialise. Had Kurosawa completed his work on Tora! Tora! Tora!, it could very possibly also have been the most epic film of his career. Yet, despite working for over two years on the American-Japanese epic, Kurosawa was forced to leave the production, with the producers firing him only a few weeks into shooting. What exactly happened is one of the most fascinating questions of Kurosawa’s career, and something that journalist and author Hiroshi Tasogawa, who worked under Kurosawa during the production, has attempted to answer in his brilliant book All the Emperor’s Men. Most of what follows about Kurosawa’s involvement with the film comes from Tasogawa’s book. Kurosawa was originally hired to the project by Fox executive Richard Zanuck together with producer Elmo Williams who was to supervise the production. In late 1966, they commissioned Kurosawa and his co-writers Hideo Oguni and Ryuzo Kikushima to pen the Japanese half of the script, which Kurosawa would be tasked to direct, while the American half of the film would be handled by an experienced American director. In this way, the finished film would offer a balanced, even objective view of the attacks. Things, however, didn’t go smoothly. The goals of the Japanese and American teams weren’t always in line with each other, and Kurosawa was very disappointed when he learnt that his American counterpart would be Richard Fleischer, a director he didn’t have much respect for. Matters were further complicated by cultural and language barriers between Fox studios and Kurosawa Production, which acted as a no-financing co-producer of the film. As a result, much of 1967 was spent on something of a tug of war with the script. Fox was aiming for a historically accurate cinematic spectacle, while Kurosawa, in Tasogawa’s words, was set on making an epic tragedy centred around Admiral Isoroku Yamamoto, “one human being who, in his brief moment in the spotlight of history, acted contrary to his own aspirations and ideals”, and with extraordinary consequences. It didn’t help that the script Kurosawa’s writing team had come up with was longer than the intended full film, which should also include the American half. After most of the major issues were finally resolved by January 1968, Japanese preproduction was ready to begin. If the American producers thought that it would be smooth sailing from here on, they were wrong, for Kurosawa next shocked them by deciding to pick total amateurs for the film’s leading roles. Rather than looking for an impressive acting pedigree in casting, Kurosawa concentrated heavily on character type. By selecting Japanese businessmen who had in real life served in the war, Kurosawa believed that he could bring an air of authority onto the screen in a way that would not be possible with experienced actors. This, together with Kurosawa’s climbing budget needs, continued to keep the American producers worried about the production’s Japanese half. As the shoot, planned to start in December 1968, drew closer, Kurosawa himself felt increasingly under pressure and his health began to deteriorate. According to Tasogawa, Kurosawa also became increasingly paranoid, as the production began to receive death threats due to its delicate subject matter. The situation was further complicated by the fact that Kurosawa would not be working with his typical crew, but one based in Kyoto. From the beginning of the shoot, the director and his crew, unaccustomed to Kurosawa’s working style, didn’t seem to be getting along. In the end, Kurosawa lasted for only 23 days. By the time he was fired on December 24, the shoot was badly behind schedule and there had been plenty of finger pointing as Kurosawa’s apparently erratic behaviour, coupled with his notorious perfectionism, intensified to the point that appeared to some observers to border on insanity. The finger pointing continued long after Fox dropped Kurosawa from the production, with two rather notable fallings out appearing to take place during this time. One was between Kurosawa and his long time co-scriptwriter and Kurosawa Production executive, Ryuzo Kikushima, who would stay with the Tora! Tora! Tora! production and with whom Kurosawa would never work again. The other was with Toshiro Mifune, who heavily criticised Kurosawa for his decision to cast non-actors, and who likewise would never work with Kurosawa again. Whether things said in the aftermath of Tora! Tora! Tora! were the sole reason for Kurosawa never working with Kikushima or Mifune again cannot be said, but they at least probably didn’t help to strengthen any friendships, either. Losing Kurosawa was a problem also for Fox, who had to regroup and reschedule the Japanese production. In the end, it would take close to two more years for the film to come out, with same-day premieres taking place in Tokyo, New York, Los Angeles and Honolulu on September 24, 1970. The Japanese sequences were directed by Toshio Masuda and Kinji Fukasu, the latter later also known for his films Day of Resurrection and Battle Royale. Although Tora! Tora! Tora! was in the top 10 highest grossing films of the American market in its year of release, the film’s commercial performance in the US was generally considered a disappointment, and neither did it manage to win any major awards. In Japan, however, the film did fairly well. Kurosawa’s version of Tora! Tora! Tora! was never made. Fox used the costly sets with its life-size warships and elaborate stages, costumes, and art that had been designed and made to order by Kurosawa. His final shooting screenplay was cut and revised by Elmo Williams in 40 places in the U.S. and Japanese sequences, all of which had been personally authorized by Darryl Zanuck. Williams shortened the original three-hour version to 147 minutes for the Japanese market and 143 minutes for the non-Japanese market. So, how are you preparing for this month’s war epic? Me, I have dived into the world of block war games, with a test game of Asia Engulfed last weekend, and the proper war starting in two weeks’ time. I’m playing the Japanese. And even if you don’t intend to simulate the war at home, let us know your thoughts on Tora! Tora! Tora! in the comments and the forum section of this website. As always, the discussion is open and free to everyone. Make some noise! Tagged with Film Club, tora! tora! tora! I watched Tora! Tora! Tora! earlier today. Although I quite liked it, I would agree with those reviewers who have congratulated the film for its action sequences but found much of its story dull and all of its characters quite uninteresting. Instead of giving its characters backgrounds or developing them, the film fully concentrates on the political and military background leading to the attack, and then of course showing that attack. This is fairly proficiently executed, but I was left wondering if a documentary film wouldn’t have been able to do a better job, given the apparent goals of the production. Especially early on in the film, in order to communicate to the audience details needed for understanding the attack, many of the characters are given very unnatural scenes and dialogue which in a documentary film could have been handled with voice-over narration, and perhaps would have felt more natural even here. My understanding is that Kurosawa’s central narrative vision for the film had been admiral Yamamoto and his personal struggle with the war. The admiral initially opposed both the Manchurian invasion as well as the planned war against the US, and would therefore have been a good character through which to understand the conflict. Yamamoto is given prominence also in the finished film as the character who both opens and closes the story, but there is no real exposition of his character, and he remains an enigma, just like everyone else. Without anyone in particular through whom we could follow the events, the story is curiously detached from human experience, and without that human presence even the terrifying battle scenes at the end fail to have the kind of an impact that they could, would we actually have been made to care about and understand the people depicted. There is in this regard an interesting difference though between the American scenes directed by Fleischer from the American script and the Japanese ones shot by Masuda and Fukasaku from the Japanese script. The Americans are portrayed as quite casual and easy going, up to a point where the American sequences include a number of quite cringeworthy scenes. The Japanese, meanwhile, are shown as methodical, organised and serious. In my case at least, this difference caused me to believe more in the Japanese characters, simply because they felt more realistic and as a result somewhat more relatable. I wonder if this is something that also you guys felt? Where the film does excel of course is the assault itself. Watching it from the bluray print, I found myself thinking how much more impressive the visuals seemed if compared to modern day action films. While similar films made today are on the surface more epic thanks to the availability of computer generated imagery, they also tend to step over to cartoony territory with their stylised disregard of realism and physics. Watching the actual airplanes glide in the air is a joy, and the explosions reminded me how much I miss things like actual fire in modern day films. While excellent with a number of things, CGI special effects are still rarely capable of rendering believable fire. The funny thing is though that it is becoming increasingly more difficult to realise this, for most of us rarely encounter large scale fires in real life, and therefore our reference points are already shifting to the non-fire that is composed of CGI generated flames. 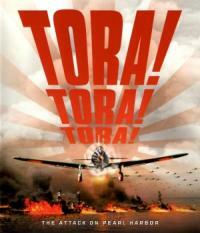 I think Tora Tora Tora is the first film I ever saw in the cinema. I would have been four (it is possible that it was a later re-release as I doubt I would have remembered it at that age). I have a vague memory of being very excited by the whole experience – I think it was shown in the Ambassador in Dublin which is now long closed but used to be in an 18th century concert hall, so it was one of those rare old cinemas with a real sense of occasion and place. I can remember being terribly bored by all the talking, but incredibly excited by the action scenes. I watched it over the last two nights and I agree with Vili. The action sequences are great, but the story is stodgy and badly paced. The acting is also quite poor in the ‘American’ segments. Going from the interviews in the ‘extras’, the producers seemed entirely focused on this idea of a fact based film. It is never quite explained why it is that they allowed Kurosawa to do his own script and then seemed surprised when he wanted something entirely different. The final script is so relentlessly dull it is hard to see why they didn’t recognise the fault of their approach. I remember years ago reading William Goldmans Adventures in the Screen Trade about how he struggled to turn Cornelius Ryan’s book on the Arnheim campaign in to a screenplay for A Bridge Too Far. He only made progress when he decided that the film was about a race to get to the bridge, this ‘race’ became the core structure of his screenplay. There seems little evidence to me that the makers of Tora Tora Tora had a similar idea. This is indeed very noticeable. The Japanese segments seem to be far better shot and directed and acted. Perhaps the Japanese half of the film had the advantage in that the really expensive and technically difficult part, the actual raid, was handled on the American side. It almost seems to me that the latter put so much effort into their models and stunt work they forgot to give any decent instructions to the actors. Lots of the ‘talking’ scenes are I think quite ineptly blocked – extra’s who don’t seem to know where they are supposed to be standing, actors who can’t quite work out where they are supposed to be looking. Even fine actors like Jason Robarts look a bit at sea. I did wonder about Kurosawa’s influence in the Japanese segments, especially at the very early stages where I think the shooting of the Japanese carrier was very impressive, lots of dramatic angles and so on. Where the film does excel of course is the assault itself. Watching it from the bluray print, I found myself thinking how much more impressive the visuals seemed if compared to modern day action films. While similar films made today are on the surface more epic thanks to the availability of computer generated imagery, they also tend to step over to cartoony territory with their stylised disregard of realism and physics. Watching the actual airplanes glide in the air is a joy, and the explosions reminded me how much I miss things like actual fire in modern day films. I agree entirely! Among the many awful things about the film Pearl Harbour (and anything else by that director) are the awful CGI battle scenes. They are just cartoonish in a literal way. Even when they made Star Wars I understand they used old film of WWII airborne fights as the baseline for the space battles* giving them a type of realism in the sense that at least they obeyed the laws of physics. In Tora Tora Tora there is a real thrill at watching real aircraft fly low over the harbour and real explosives – no CGI can match this. It is such a pity that the action sequences are intercut with badly blocked studio set scenes of military brass staring past the camera in various states of bafflement. Ugetsu: Going from the interviews in the ‘extras’, the producers seemed entirely focused on this idea of a fact based film. It is never quite explained why it is that they allowed Kurosawa to do his own script and then seemed surprised when he wanted something entirely different. Did you ever have the chance to read Tasogawa’s book on the making of the film? My understanding from it is that Kurosawa was, for various reasons, a little in the dark about what he had actually been hired to do. He for instance thought that he had final cut rights, which he didn’t, and similarly he seemed to think that he had more say over the script than he actually did. Meanwhile, Fox’s producers didn’t fully realise that Kurosawa, unable to read the contract in English, went by what his assistant told him about its contents. This seems to have been a major source of the misunderstandings that led to what ultimately happened. As for historical accuracy, it actually seemed to be a goal shared between the Americans and Kurosawa’s camp. Kurosawa seems to have done extended research on the war and admiral Yamamoto. I haven’t watched the extras yet, but my understanding is that historical accuracy itself was not the sticking point with the script, but rather the fact that Kurosawa wanted to make a film with human characters and a focused narrative, while Fox seemed to be more interested in a spectacle. I guess they must also have feared that without a certain amount of distance from the characters, the film might lose its impartiality and be poorly received on one of the two target markets, US or Japan. To continue with historical details, I watched an episode of the BBC World War II documentary The World at War which deals with the rise of the Japanese Empire and the attack on Pearl Harbor. What struck me was how uncannily many of the actors in Tora! Tora! Tora! actually resembled their real life counterparts. I know Kurosawa was keen on getting those resemblances, especially for Yamamoto’s character, and it seems that this goal was kept when Masuda and Fukasaku stepped in to direct. No, I haven’t got the book yet. That does make a sort of sense, but it still seems remarkably sloppy for all concerned to have such a misunderstanding when so much money was involved. I guess that could be one reason. But I suppose it could also be that there would be a lot of trouble cramming in a detailed character study on both sides, along with all the action, without the film going on for 4 or more hours. Ugetsu: it still seems remarkably sloppy for all concerned to have such a misunderstanding when so much money was involved. Indeed, although I think that things like these are quite common in film production, even when there are no cultural and linguistic barriers. And I guess having Kurosawa on board was another barrier in itself! Ugetsu: I guess that could be one reason. But I suppose it could also be that there would be a lot of trouble cramming in a detailed character study on both sides, along with all the action, without the film going on for 4 or more hours. Probably! Actually according to Tasogawa, the first loose draft by the Japanese screenwriters totalled, when translated into English, altogether 400 pages. That would be more than six hours when filmed, and one must bear in mind that it was only supposed to be one half of the film. So, there was a lot to be cut, and it’s not surprising that although the first draft was ultimately approved, Kurosawa and the producers couldn’t quite see eye to eye on what exactly needed to be dropped. Just a point that occurred to me thinking about the issue of how they could cram in so much into a 3 hour film, they missed a trick that Kurosawa essentially invented in Seven Samurai. One thing I loved about that film was how Kurosawa so carefully used subtle exposition and even the hand drawn map to show the audience the geography of the battle site, thereby heightening the realism of the battle. The occasional views of the harbour and maps in Tora Tora Tora are much more clumsily handled I think – a few well planned scenes could I think have given the audience a much better idea of the tactical challenges both sides faced in the raid. This really is a film where I think a bit of commentary and introduction could have saved a lot of those awkward and confusing scenes of diplomats and generals shuffling back and forth and talking on phones. That’s a great point, actually. They even have that 3D map of Pearl Harbor, but don’t use it for narrative purposes. On the issue of realism in the film, one irritation for me in the ‘extras’ on the DVD is the claim made more than once that the Mitsubishi Zero was a copy of the T6 ‘Texan’ trainer aircraft – the Zero’s in the film are mock ups using T-6’s. This is completely untrue, the Zero was an entirely independent design, the outwards physical resemblance was coincidental. Now, this is a topic I know absolutely nothing about. I’m the same with cars: I can remember the colour of a car, but the maker or let alone the model never sticks with me. “Roundish” or “a little angular” is what I can produce, if asked to describe one beyond colour and size. But speaking of film festivals, there’s one on in Budapest as well, and we went to see John Michael McDonagh’s Calvary a week ago. Not quite as good as his previous one, but still quite good. Unfortunately, I was a bit of an airplane and war history nerd when I was a teenager, and oddly enough obscure facts about WWII airplane design lodged in my head much better than any maths or language class at school. I’m glad wikipedia didn’t exist back then, I would never, ever, have studied at school, I’d have found it far too interesting reading up obscure facts about WWII. So, to bring the subject around to Kurosawa, this is one reason I like his films so much, he very rarely got any military fact wrong. I can’t tell you how annoying it is to see war films and find myself thinking ‘hang on, that can’t have happened, that tank wasn’t brought into action until 6 months after this film is set‘. Spielbergs ‘Band of Brothers‘ was particularly guilty of that, it was supposedly documentary like in its accuracy, but it was in some ways as silly and overblown as a Bruckheimer production. I stopped watching after they showed German tanks firing while moving (this would have been a court martial offence for the tank commander). I thought if they got that fact wrong, everything else was rubbish. Yes, I know how nerdish that sounds! I’m looking forward to seeing it, especially as it is shot in County Sligo, imo the most underrated part of Ireland for landscape beauty. I have mixed feelings though about the McDonagh brothers (his brother made the very funny In Bruges). All their films strike me as very good examples of why screenwriters should never be allowed to film their own scripts. Great scenes and lines, but too self indulgent and badly in need of a bit of an objective overview (not to mention a lack of skill at blocking some types of scenes). I couldn’t help wishing McDonagh got together with Sophia Coppola – I’ve often thought of her as a brilliant director stuck with terrible screenplays – it so happens that the screenplays are her own. Maybe they’d make fantastic films together with each others strengths. Or maybe they’d just make self indulgent films based on self indulgent screeplays. But they would be interesting anyway. Ugetsu: I can’t tell you how annoying it is to see war films and find myself thinking ‘hang on, that can’t have happened, that tank wasn’t brought into action until 6 months after this film is set‘. Yeah, you people are annoying, I know. 😛 I have a friend who is exactly the same, and starts complaining about the number of wheels in a tank while we are trying to watch what to me is a perfectly cromulent film. Then again, I do know also how you feel. As someone with a linguistics background, I personally get annoyed when I see some discussion of human languages that does not get even the very basics right. There are some otherwise fine books on history, science or anthropology that I just can’t take seriously after spotting the inevitable mistake or two when it comes to how they approach languages. While it probably shouldn’t be the case, they undermine the whole argument for me, as the only thing that I can even semi-authoritatively validate turns out to be full of mistakes. From Martin, I think In Bruges was really well made. With Seven Psychopaths I would agree with your assessment over the direction. McDonagh is, of course, also one of the funniest playwrights of the late 90s. He is also one of those playwrights that work really well on the paper, so just reading his work is a joy. As for John Michael, I think the films that he directed are better than the one he merely wrote (Ned Kelly). Although it must be said that in both The Guard and Calvary so much is held together by Brendan Gleeson that it’s difficult to envision how they would rate without his performances. Totally off-topic here, but I went to see Calvary last night. Gleeson was magnificent and the cinematography is great. I was also constantly distracted by the fact that I know the area it was shot in very well so I kept trying to spot places I know. Unfortunately, I have to say I disliked the film as a whole – I thought the episodic structure didn’t work and it was hampered by some very miscast and under-written minor roles. Calvary indeed was quite episodic, and I agree that not all the characters were strong, but I liked it in the end. I watched the documentary on Tora! Tora! Tora! that they have on the bluray edition. I was searching for something new to say about the film, but nothing really worth saying came up. So, I think that my only distantly on-topic comment shall be that I won the Asia Engulfed game that I mentioned in my introduction. Or rather, in December 1942 my Japanese forces destroyed the entire Commonwealth fleet near the Bay of Bengal while, in a separate naval battle off the coast of Northern Australia, I managed to deal a rather serious blow to the American naval forces. Meanwhile, with the situation in China rather delicate (the Japanese could probably have marched to central China by summer 1943, provided I could figure out how to supply that expedition), with no one really left to defend India, and with the Americans needing about a year to rebuild their fleets during which I could have continued fortifying the Pacific islands that I had conquered, the Allied player gave up. I hope that Asia Engulfed game doesn’t include nuclear weapons, that would be cheating…. Unfortunately, no nuclear weapons in Asia Engulfed. The game actually automatically ends in August 1945, unless one side achieves sudden victory before that. I’d like the game to have the option for nuclear weapons, which you would of course have to research. But the game is quite streamlined (takes only 10-15 hours to play the entire Pacific war, as opposed to 50-150 hours as in some games), so the loss of some detail is underestandable. This movie was made and released while I was a preteen/young teenager. I remember reading a magazine article — probably from Life Magazine, as I remember the inclusion of a number of photographs to illustrate the story — about the making of the movie. I may even have vaguely known about the dismissal of the film’s original Japanese director, though I doubt Kurosawa’s name would have meant much to me at the time; I wasn’t really aware of him until a few years later, and then it was in the context of how screening Rashomon at the Venice Film Festival increased Western awareness of Japanese films. A script that focused on the personal perspective of Admiral Yamamoto would have to be balanced by the personal perspective of a participant from the other side, and I’m not sure there was as obvious a POV character from the American side. And it also would have been open to attack as too sympathetic to Yamamoto, the Japanese, or both. I didn’t find the setup as boring as the rest of you did (that’s not to say it wasn’t dry — it was, but I was interested in the information conveyed despite the lack of narrative subtlety), and while the action scenes are superbly realized, a little goes a long way, especially when we’ve been given no personal stake in what happens. The characters we see long enough to remember or identify with emerge more or less unscathed. It’s all just general, abstract violence. The same is true on the Japanese side, too, as far as I could tell. Certainly the movie could have been punched up a bit with the use of maps, more references to time, and other anchoring devices. The Americans are portrayed as quite casual and easy going, up to a point where the American sequences include a number of quite cringeworthy scenes. The Japanese, meanwhile, are shown as methodical, organised and serious. In my case at least, this difference caused me to believe more in the Japanese characters, simply because they felt more realistic and as a result somewhat more relatable. I wonder if this is something that also you guys felt? Ahaha, this is an example of cultural differences, I think. I felt just the opposite, but that is probably because the casual attitude of the Americans, particularly the middle and lower-level military, rings completely true, at least in US popular culture, which may in this case reflect actual fact. There is a long and hardy strain of cynicism and thought that “the higher ups don’t understand conditions on the ground” and that things always go wrong (think Murphy’s Law and the Peter Principle, the latter of which comes out of organizational theory). Words like “snafu” (originally an acronym for “situation normal all f’ed up”) originated in the US military. The Korean and Vietnam wars and movies and TV shows like M*A*S*H also contribute to this perception. As a result, an American audience is likely to perceive the casual and easy going Americans as realistic, amusing, and telling truth to power without power listening to them (think of the compromise over the radar installation and the failure to provide a phone at first) — an example of the strengths and weaknesses of a system that relies on dissent and thinking for oneself in a context of military discipline and order — whereas the Japanese come across (to Americans) as unnatural and robotic. With the exception of a few characters, like Yamamoto, the Japanese characters come across to me as two-dimensional stereotypes of gung-ho Japanese who only care about military success, not morality. Japanese audiences may well have opposite perceptions. I also thought the blocking of the Japanese sections was very formal and odd, especially when they faced the camera, which did not feel at all natural. I suspect that part of this is a difference in acting style; the American actors use a more naturalistic style, while the Japanese actors use a more formal style. One point on which I agree with the rest of you is how superior using actual planes and effects are to using CGI. Those initial shots of the planes coming out of the clouds are breathtaking! In addition to rendering fire more effectively, actual visuals are still to my mind more effective for most animation as well. Pixar has done some amazing things visually, but most other computer generated film animation is effective in spite of the visuals, not because of them. I’m really sorry that Disney has gone out of the business of hand-drawn animation and that claymation isn’t very common either. 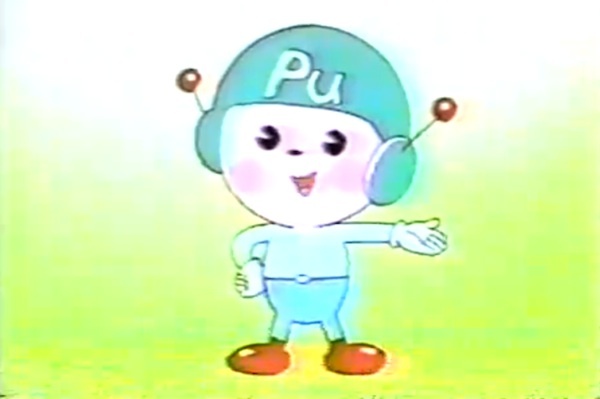 At least Japanese animation is still largely hand-drawn. One aside: Is Hideo Oguni the only person associated with Tora! Tora! Tora! who Kurosawa worked with afterward? It is very much a docudrama. I think that was a deliberate choice on the part of the studio in order to make the movie look unbiased and objective and to minimize controversy so it wouldn’t offend American or Japanese sensibilities. I’m sure you are right that the notion of a docudrama was considered less controversial than the type of film Kurosawa had in mind. In the DVD extras the producers emphasised that they were also influenced by the big commercial success of The Longest Day, which took the same approach to the D-Day landings (although of course D-Day is not as subject to historical controversy as Pearl Harbour). By a coincidence I saw a big chunk of The Longest Day 2 days ago – I’m on holiday now in France, and the film was showing on the big screen on the ferry. What I saw of the film looked quite similar to Pearl Harbour it its set up (all the major historical characters identified on screen, and lots of careful early scene setting). It looked quite a good film, but as the sound was down I could only follow the subtitled German and French scenes! However, I couldn’t wait to the end because of a bad case of sea sickness! Something I forgot to mention: Gen. Short’s (Jason Robards) order that the planes be brought further in for fear of sabotage from local Japanese reminded me that my father (who was born in the US) was initially denied enlistment in the US military because his parents were natives of Korea, a country occupied by and under the control of Japan. (I don’t know if they ever became citizens, but it’s possible they weren’t eligible to proceed beyond permanent resident status.) He wrote a letter to Pres. Roosevelt protesting this. If anything, as the son of Korean immigrants, one of whom (according to family lore) witnessed the deaths of her father, brother, and first husband at the hand of the Japanese, he had more reason to despise the Japanese government than the average American. His subsequent enlistment and advancement through basic training to a lieutenancy in the Army Air Corps as a navigator were considered newsworthy enough to be the subject of an article in the local newspaper. As it turned out, he was sent to the European theatre, not the Pacific. Anti-Japanese prejudice on the West Coast led my father’s family to relocate to New York while he was in the military. I didn’t learn about the internment of Japanese on the West Coast until PBS broadcast a documentary about it when I was in high school. That documentary was subsequently shown during my 11th grade American history class. I give my teacher (who was also the head of the social studies department at the time) credit for not whitewashing the issue. I give the moviemakers credit for touching on it as well. Thats really interesting Lawless, I always found it curious how racism against Asians always seemed at its strongest in otherwise fairly liberal States like California. So far as I’m aware it has its origins in the use of Chinese labourers as strike breakers in the 19th Century. A few years ago I was in a mining museum in Butte, Montana and I was amazed to some of the Union posters which involved naked vitriol aimed at Chinese and Japanese settlers in the town – all of them, including regular small businesspeople were considered stooges of the mine owners. One history of the Pacific War I’ve read argued that one of the core trigger points was the failure of Washington to crack down on local ordnances in California which effectively banned Asian kids from local schools in the 1920’s. In Washington it was seen as a local matter, but it was heavily publicised in Japan and was often used by militarists as a rhetorical weapon against moderates – that no peaceful accommodation with the US was possible as the US would never accept an Asian nation as an equal. By the late 1930’s, this was the consensus view within Japan, even among western oriented anti-militarists. This led to the view that war with America was not optional – it was inevitable – hence striking at the most advantageous time was the only sensible option. One historian has written that the overwhelming emotion among educated Japanese at the news of Pearl Harbour was relief – a sense that all the waiting was over at last, even though most realists knew that the odds were hugely against Japan (it is a myth to say that the Japanese military were confident of victory, they knew full well that the US would win a war of attrition – their only hope was a quick decisive series of military victories denying the US the chance of a quick response – the hope was the US public would not have the stomach for a long war). Incidentally, I believe Roosevelt later described the decision to intern Japanese civilians as his worst decision. It can’t have been hard for him to notice that so many of his generals had German names (not least, Eisenhower). There can be little doubt that the prosecution of war in the Pacific had a racial element which was largely lacking in Europe – I’ve read quite vivid descriptions of the treatment of Japanese prisoners of war (Gore Vidal wrote about this in his somewhat controversial essays on the war) – you need a very strong stomach to read them – and this wasn’t just a response to the awful treatment of allied prisoners.